This wine cooler is the larger size of the crumple cup series. 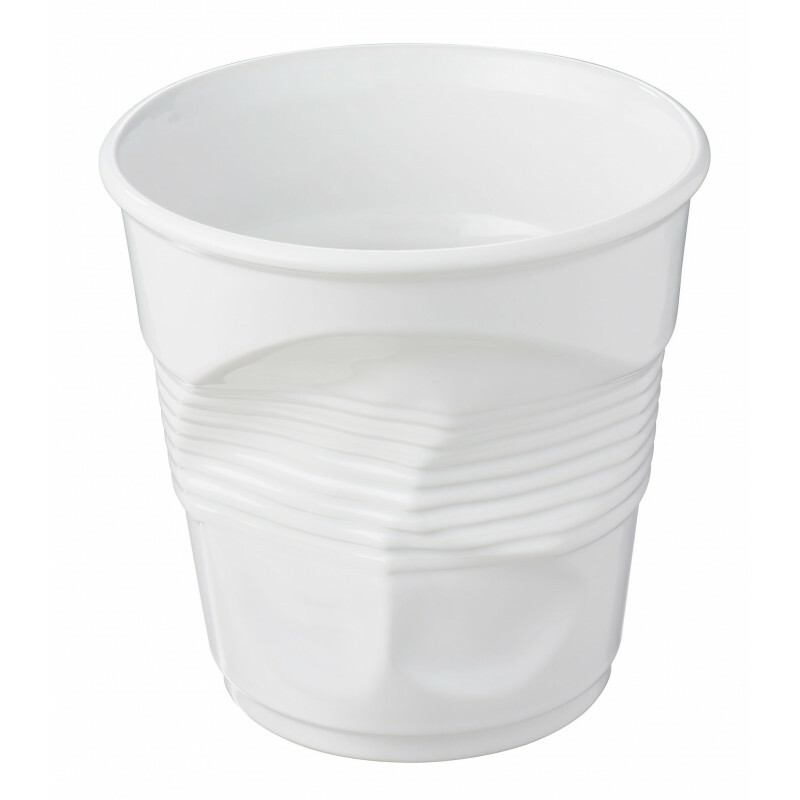 It can also be used as a punch bowl. 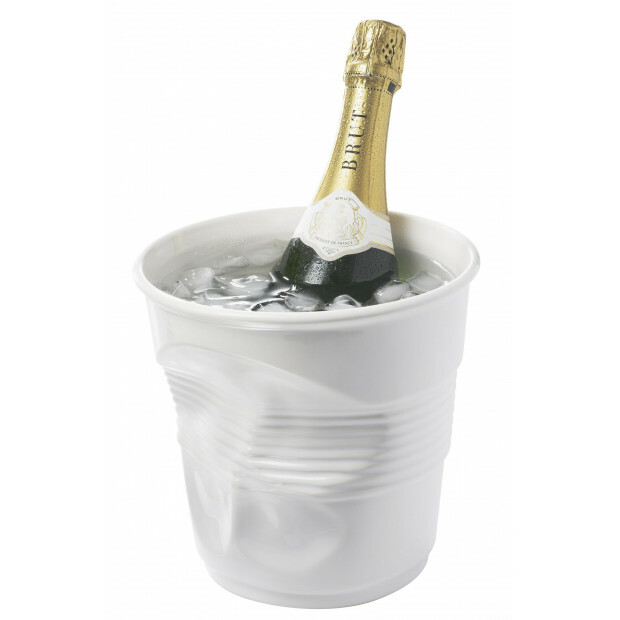 Made of high-resistant porcelain, this large crumpled cup can be used as a bucket as a wine or champagne cooler or use it to store spoons and spatulas or even to display your favorite flower! Another versatile item that can be used during many occasions and that will probably be a conversation piece. SERVING SUGGESTIONS: Serve and chill wine. Use as a cocktail bowl, utensil holder. Hold plants or flowers.